Get On Your Dancing Shoes For Some Of The Best Dance Holidays and Dance Breaks Around! Here at Langstone Cliff, we understand how important it is to have access to brilliant activities during your holiday, should you wish to. In addition to our own regular entertainment, we offer specialised dance holidays with qualified leaders throughout the year. We’ve set the bar high for dance holidays, that’s for sure! …then our dance holidays are the perfect way to have some fun and meet new friends. Whatever style of dance you are interested in, we have a range of dance breaks suitable for beginners, novices and experts. We periodically publish a small booklet listing the forthcoming Dance Holidays at the Langstone Cliff Hotel; you may download an electronic version from here or if you want information on the individual events, take a look at our what’s on page. Washington Ballroom at the Langstone Cliff Hotel. There are 64 en-suite bedrooms many of which are suitable for multiple occupancy. 10 of the rooms are located on the ground floor, 9 rooms currently have walk-in showers, 2 are located in the Bungalow approximately 10 metres from the main hotel the remainder are located on the first floor which is accessible by a lift and 4 staircases. Each are beautifully furnished, but don’t just take our word for it – see our wonderful accommodation for yourself. 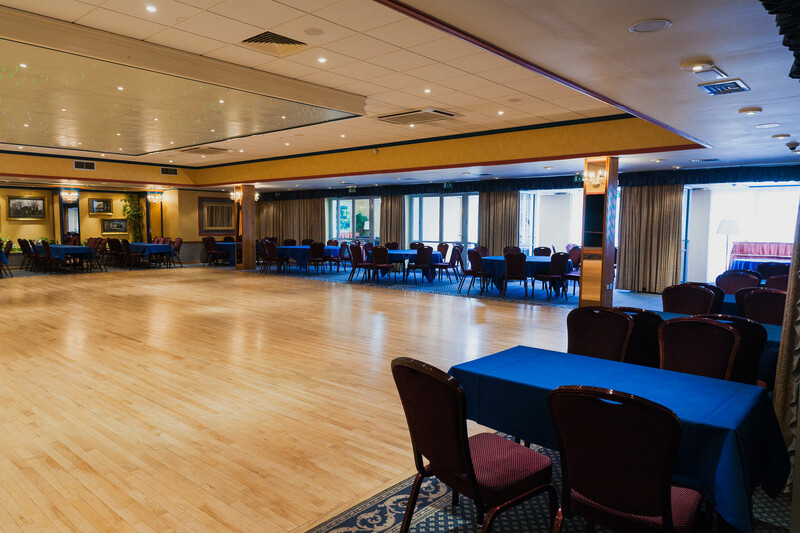 The fully sprung Washington Ballroom Floor is approximately 11 metres x 14.5 metres (36 x 48 feet) and the sprung Lincoln Ballroom floor is approximately 8.0 Metres x 5 Metres (43 x 18 feet). Both rooms have carpeted seating areas around the floor. 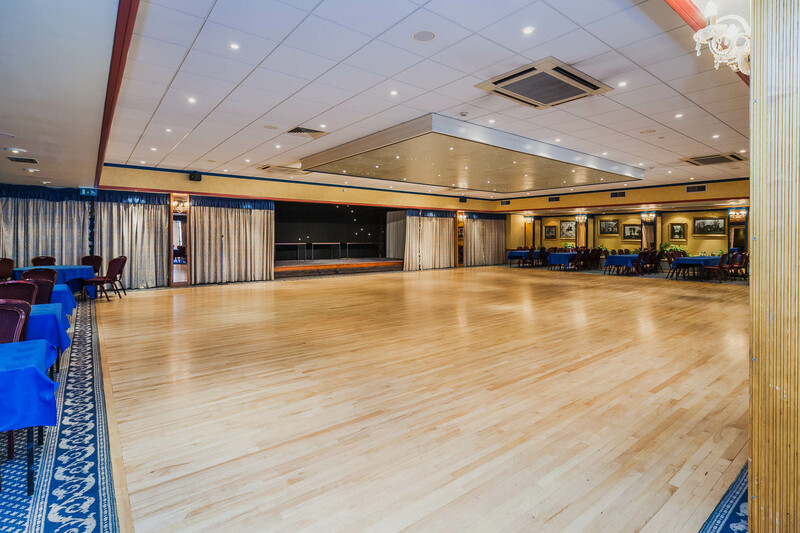 We also have a smaller portable dance floor which can be located in many of the smaller public rooms and provides an area up to approximately 3.5 x 3.5 metres. The floor is constructed of up to 16 panels so may be configured smaller if required. This could be utilised for individual tuition or training. Both ballrooms also have full air conditioning and are able to host music from a big band, to a keyboard player or CD’s and records. Many of the holidays offer dance tuition with qualified instructors. Please see our what’s on page for forthcoming Dance Holidays at the Langstone Cliff Hotel or to find out more about our dance breaks, please call us on 01626 221329 or email us here.